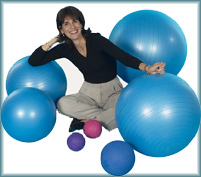 Deb is an accomplished organizational training & performance development professional of 18 years.She is a Certified Senior Trainer by American Society of Training & Development, an active member of Society for Human Resources Management, a licensed MBTI practitioner and Career Counselor. Dale Carnegie Training has recognized her as one of 60 "Top Results Achieving Instructors" from a field of 2800 in the US. Deb is sought out for her results orientation, high energy, and extensive background in adult learning. Her acute intuitive people-sense and boundary breaking methods, along with her knowledge and experience in business management and business development expertise , she can truly get you ahead. Purpose:To boost clients beyond their current reality. To develop clients' ability to challenge their perceived boundaries and leverage them to function at levels that bounce them off plateaus of predictability to peaks of productivity. To guide clients through a process and present them with products and services that will support ongoing learning and development of their potential. To guide clients to the attainment of significance in and satisfaction from their work while reaching their business' goals.